February 1 the United Nations celebrated the launch of the International Year of Indigenous Languages. Opening remarks by H.E. María Fernanda Espinosa, President of the General Assembly, at the High-level Event to launch the International Year of Indigenous Languages. The event will mark the beginning of the International Year of Indigenous Languages and will offer an opportunity for Member States and relevant stakeholders to exchange views and best practices about the preservation, promotion and revitalization of indigenous languages. What are the hashtags for the 2019 International Year? Will there be a celebration of the International Year of Indigenous Languages on … Biodiversity Day? World Environment Day? World Tourism Day? What words would you like others to know from your language? 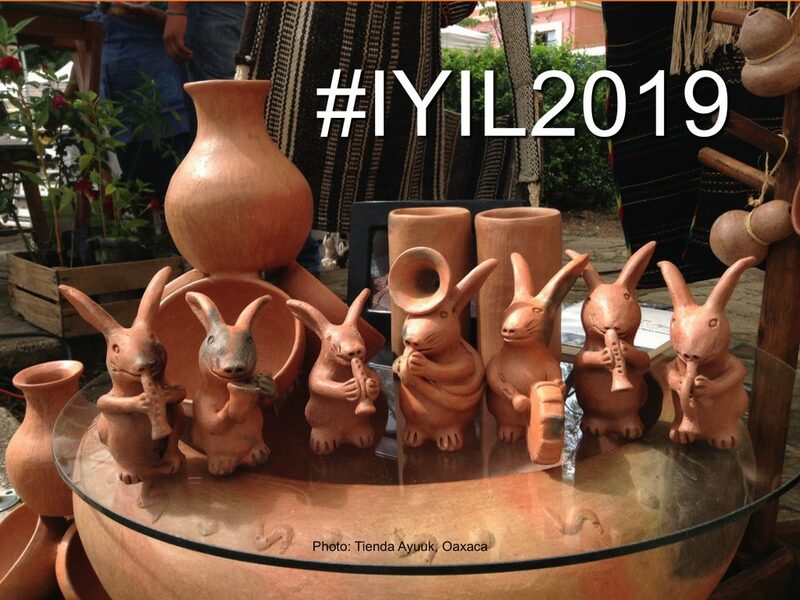 What would you like to learn during the 2019 International Year of Indigenous Languages? What would you like others to know about your language, your culture? How can you be supportive of the 2019 International Year of Indigenous Languages? Which Indigenous languages would you like to learn? How do we champion efforts to conserve Indigenous languages and cultures? How do we engage visitors?